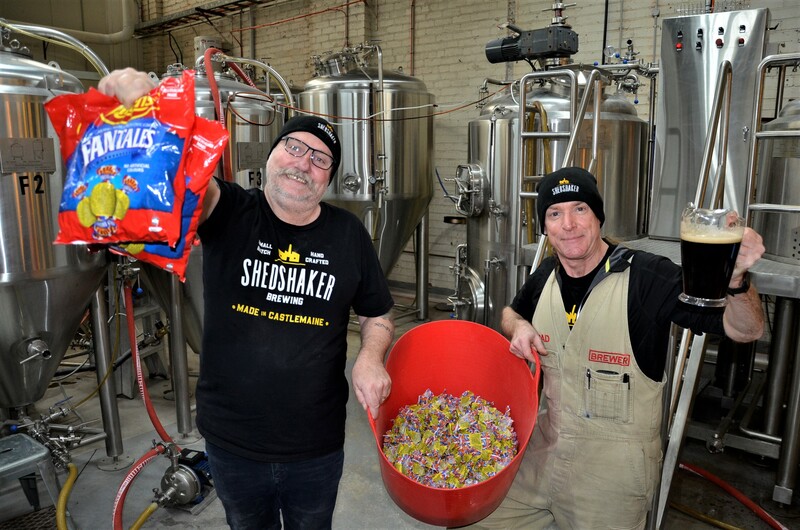 Jeff Carr and Brad Iles brew up the Fantale Ale at Castlemaine's Shedshaker Brewing in preparation for this month's sold out Bendigo On The Hop festival. What better way to spend International Beer Day than brewing up 600 litres – or thereabouts – of chocolaty ale made with Fantales. 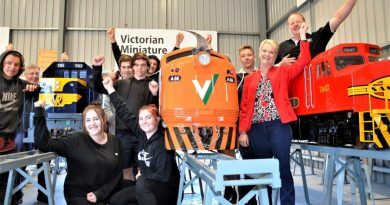 That’s exactly what the local brewers at Castlemaine’s Shedshaker Brewing were doing when the Midland Express dropped in to investigate on Friday. 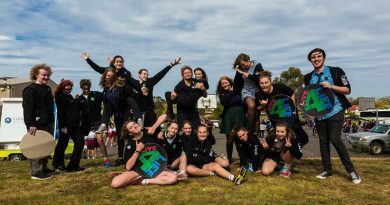 They were busy unwrapping 10 kilograms of the chocolaty lolly to craft a special batch of unique beer destined to go on show at this month’s sold-out Bendigo On The Hop festival that showcases the creations of leading independent Aussie breweries. 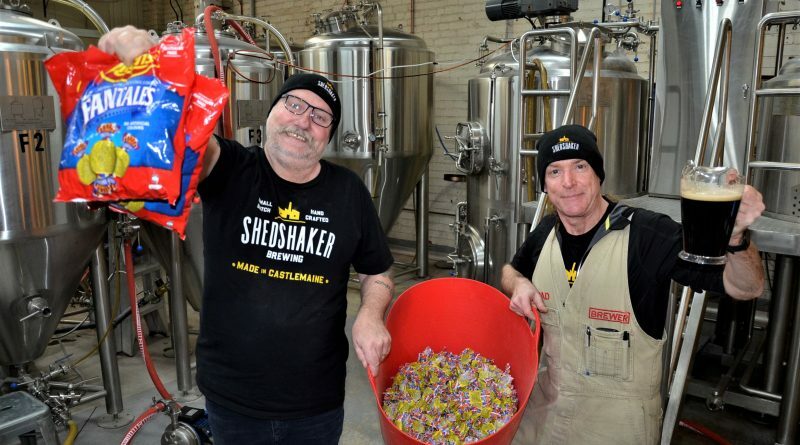 “We’ve taken our porter which is already fairly chocolaty and caramel based and we wanted something that we could have a little bit of crowd participation in,” Shedshaker’s Brad Iles explained. “So we decided to put 10 kilograms of Fantales in which means we need a little bit of help unwrapping 1500 Fantales. “Once they’re unwrapped they’ll go into the brew kettle while it’s boiling. They’ll go in fairly slowly because I did a little test and they like to boil over as soon as you throw them in. “All of the sugar in the Fantales will actually ferment out so while you’ll be left with a chocolaty flavour there’ll be no sweetness against it. So you’ll get that sort of bitter chocolate. Brad said professional beer brewing made for an enjoyable way of life. “Having done a lot of home brews over the years it was just one of those dreams of turning your hobby into your job,” he said. Following Friday’s endeavours the new experimental beer will now brew for three weeks. “For our ales we like to give them three weeks in the tank and it’ll just get three weeks and be out in time for the festival,” Brad said. Coming up with a name was the easy part of the creative process. “I think Fantale Ale just works so easily without even having to think about it,” Brad said. 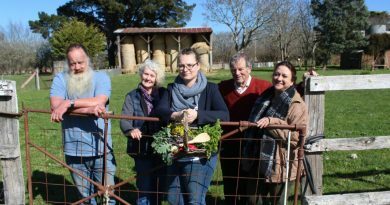 Keen to see Feed it Forward in action are local residents Milos Starec and Ruth Mason, acting Lancefield Neighbourhood House coordinator Alison Gamble, Macedon Ranges councillor Bill West and Romsey Neighbourhood House coordinator Michelle Balthazar.